The Seattle Times LiveWire community forums continue Thursday at the University of Washington’s Kane Hall with “Gridlocked: Driving solutions to our region’s traffic jams.” Speakers Mark Hallenbeck, Scott Kubly, Bryan Mistele and Jarrett Walker will discuss how the Puget Sound area can tackle its immediate and long-term traffic woes. Seattle Times multimedia editorial writer Thanh Tan will be the moderator. The event is sold out, but video clips from the event will be available Friday on seattletimes.com. You can follow the conversation on Twitter: #STLiveWire. The Seattle Channel will air the event in November. For information on LiveWire and future events, like us at Facebook/STLiveWireEvent. We’ll get around by a combination of walking, biking, transit (bus and rail) and cars. The percentage of travel performed by mode will change dramatically, depending on whether you are in downtown Seattle, in one of the other major centers — Bellevue, Redmond, Tacoma — in the older suburbs or the newer suburbs (the exurbs). The lower the density, the more segregated the land uses and the more cul-de-sacs that exist in the road system, the more people will (almost exclusively) drive. The better the mix of land uses, the higher the density, the more good travel paths exist, people will walk, bike and take transit. There is no single solution; the solution is a mix of options. But we also need to be honest about the quality of transportation services and options that people can expect when they make location decisions. Living in the exurbs and driving makes sense while you are in that environment. But when you make that decision, understand that you will be stuck in congestion on Interstate 5 when you try to go take advantage of the activities that are not located in the exurbs. Mark Hallenbeck is a transportation engineering professor and researcher at the University of Washington, where he directs the Washington State Transportation Center. Ten years from now, we are going to be traveling around the region much differently. Seventy percent of Seattle’s growth is taking place in urban villages. People moving into those areas are going to be walking to grocery stores, bars, restaurants and coffee shops a lot more than they do now. Link light rail will be open up to Lynnwood and over to the Eastside, which will give people the first reliable way in a long time to go up and down the I-5 corridor or across Lake Washington. Seattle is going to continue investing in modernizing our traffic signal system and making enhancements to move transit faster and more reliably. Services like Uber and Lyft will become even more ubiquitous as they spread from early adopters into the mainstream, and I think we will see them used more and more for carpooling. People will also be looking forward to the start of service on investments paid for through Sound Transit 3, the next phase of Link light rail. Scott Kubly is director of the Seattle Department of Transportation. Bryan Mistele is president, CEO and co-founder of INRIX, a Kirkland-based traffic-intelligence company. The most important change, if we plan it right, is more personal freedom . First, you’ll be able to get more places more easily. That means more access to jobs, education and social opportunities. Too often, people don’t go out and do things because the transportation is too difficult. That’s a denial of liberty and opportunity, and that needs to change. Second, most people will be choosing how to get around, instead of feeling coerced. Many people feel trapped into traveling in a way that’s just not right for them. Some people may feel trapped on transit, for example, but many also feel trapped into using cars because their locations and travel needs give them no other viable option. Not everyone likes driving, and not everyone should be driving. If the pricing is fair, we’ll make different choices for different trips, depending on what works. Some areas will rely mostly on cars, while denser, more walkable places will rely more heavily on transit, cycling and walking. 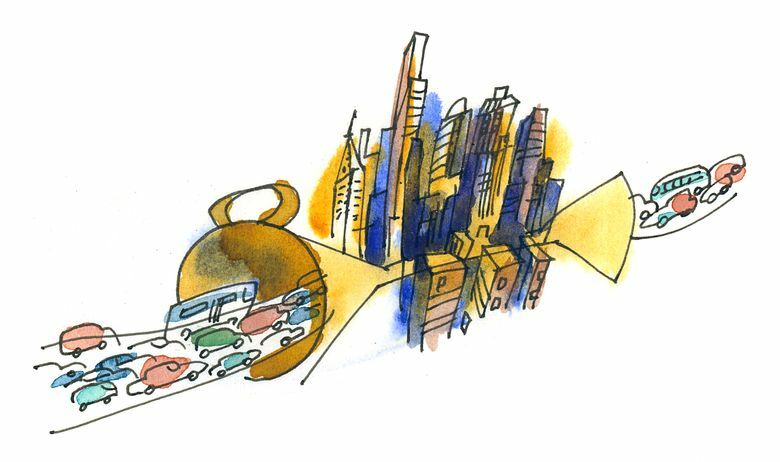 Options like car-sharing, taxis and Uber and Lyft, and microtransit will also become more important — though if transit is well-planned and managed, high-ridership transit should always be much cheaper. Jarrett Walker is author of “Human Transit” and the Human Transit blog: humantransit.org. Mass transit is crucial to keeping the region functioning in the future as we grow. We will need to grow our transit services. But it is not just a question of spending more money. The key is that we need to more effectively coordinate land uses with those expanded transit options. That is, cities and counties need to grow in ways that allow transit, walking and biking to operate safely and effectively. We also need to help the current transit services operate more efficiently. If they were not stuck in congestion, two buses could make as many trips as three buses do now. That “extra” bus could then make additional trips, either on that same route or on a new route — without costing the taxpayer any additional tax money. 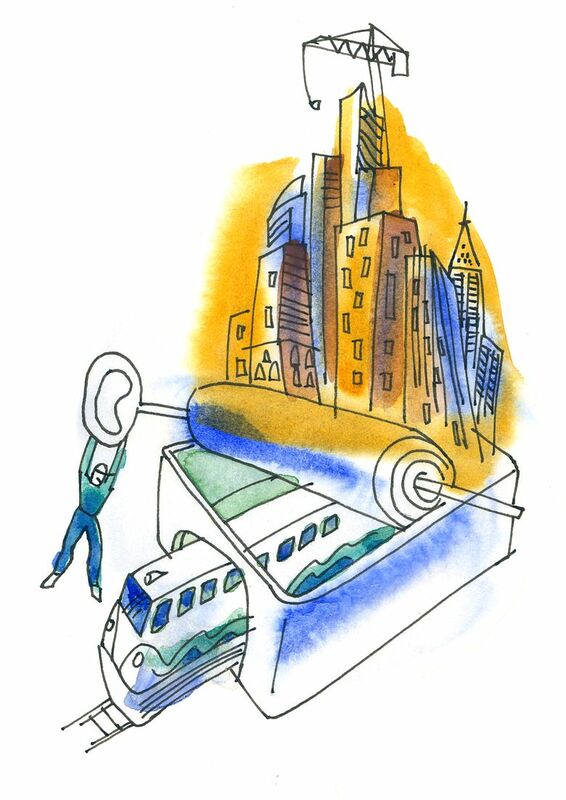 Mass transit is the key to keeping Seattle moving, now and in the future, and includes both buses and light rail. We need to keep investing in expanding the amount of transit in the region so that it keeps pace with growth. Seattle voters passed Proposition 1 in November 2014, which allowed the city to expand transit by almost 15 percent in Seattle. That sounds like a huge amount, but it is really just enough for us to catch up with growth we have already seen. We need to continue investing in more transit service so we can keep pace with the growth that we can already see coming. Only transit can keep this region functional, prosperous, equitable and free as the region grows denser. That’s a fact of geometry. Population growth is going to have to come without much more sprawl because the Puget Sound region, like Los Angeles, is running out of space for horizontal growth. Growth without sprawl means higher density, and higher density requires more efficient use of space. The scarcity of space per person is practically the definition of a city. Private cars, with two or three seats empty, are the most space-wasting form of transportation ever devised. 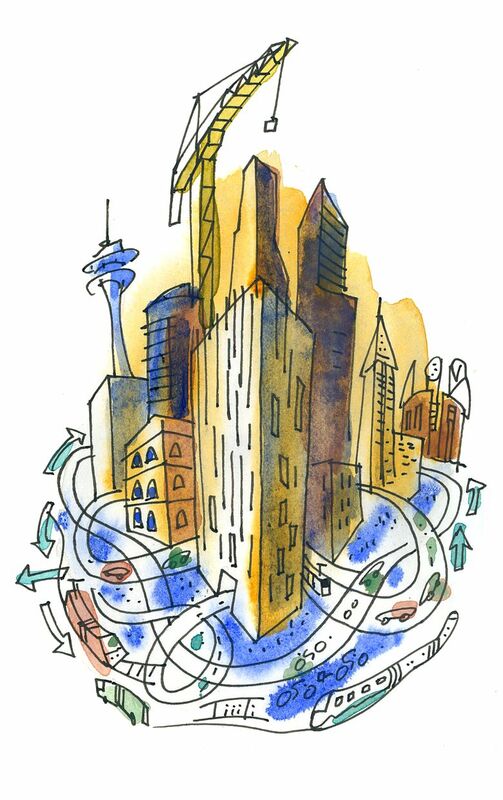 No city has ever grown, as the Puget Sound is expected to grow, without a major shift to transit and other high-occupancy modes because it’s geometrically impossible. High-ridership transit is unmatched in its ability to use space efficiently. Right now, most of the technology hype is about less space-efficient modes of transportation, such as the microtransit services provided by a private ride-sharing service like uberPOOL and Lyft Line. These help if they get people out of cars, but they’ll be a disaster if they are allowed to undermine high-ridership transit. The streets do not have room to move people from large vehicles (transit) to small ones. So keep your eye on the geometry: How can we use space well? There is no rationally priced alternative for adding major new road capacity to Interstate 5 through downtown Seattle. So there is no “fix” to the “I-5 is congested” problem. It will continue to be congested in the foreseeable future. Technology (automated cars, anti-crash software in semi-automated cars) will help it work better, but do not believe the hype. Even automated cars will not allow I-5 to work really well during our current commute periods. The new Highway 99 tunnel will help but not fix the problem. The travel growth that occurs with population growth would only be served on I-5 by a vehicle mode shift. And most of that shift will be to transit — a combination of bus and rail (plus a lot of people living, working, walking and biking within the central areas of Seattle, and thus never getting on I-5 at all). The best thing we can do to fix I-5 is to complete the Sound Transit route between Tacoma and Everett, investing via Sound Transit 3 in connections to West Seattle and Ballard and a second transit tunnel through downtown. There are some efficiency improvements we can make with I-5, but we can’t widen I-5 through Seattle. That means we need to think differently about how to add north-south transportation capacity in our region. Sound Transit trains running at maximum capacity can carry well over 10,000 people per hour, while a single freeway lane can only carry a couple thousand cars per hour. High capacity transit is the best way to add north-south capacity to our transportation network. In addition, it makes our transportation system more resilient by creating an alternative to I-5. Bottlenecks are where the futility of car-based planning is felt first. The demand for road space goes through the roof, but expanding the supply is so expensive that it might as well be impossible. The new Highway 99 tunnel will replace the Alaskan Way Viaduct, but after that there will never be more road lanes through the narrow part of Seattle’s hourglass shape than there are now. So it’s simple: If you really need to sit in your car with two or three empty seats, and you expect an easy trip down I-5, you’re asking for something that’s geometrically impossible. So it’s not going to happen. The I-5 bottleneck is just like other bottlenecks around the region, such as the Lake Washington bridges. In those cases, we’ve figured out that a fast trip can only be provided for those willing to pay for it, and also for those that need it urgently and use it efficiently, such as transit and emergency vehicles. High-occupancy and toll lanes increase liberty by letting you decide whether to pay for your trip in money or to be forced to pay in time. They also make transit viable, so you have a choice that’s both fast and affordable.